Management Consultant, author and avid wine collector Louis Coutts, ponders the rewards of enduring the temptations of opening your wine too early. There is a famous quotation that is credited to a "bookie" which goes something like this. "A guy ought to have a bet everyday; otherwise he could go through life lucky and not know it!" To the wine lover, the inverse of this formula is more likely to be true. If you don't leave your good wine in your cellar for years, you might drink everything you buy too soon and never know what you are missing. The rewards for careful cellaring wines are enormous and in some cases, the longer one keeps the wine, the greater the rewards. There are many gurus around the world who talk about the life of wines and rarely do they talk about wines having lives over twenty five years. 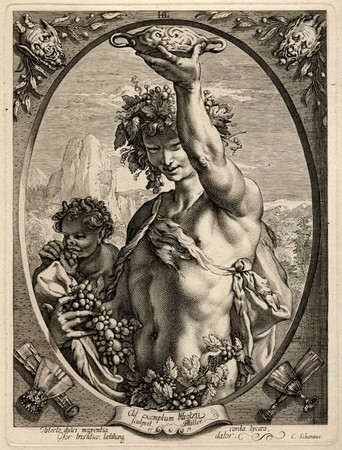 They are aided and abetted by the wine makers, many of whom tend to make wine to be consumed earlier rather than later. What treasures must have been missed. I have just had three experiences that make the point. I am a hopeless hoarder of wine. I buy stuff and put it away and then buy more stuff and put it away and occasionally open a bottle. However, the collection grows as does the age of the wine and I am now regrettably old enough to have experienced some of the fruits of coming across wines that are thirty five to forty years of age or even older. The first experience arose from a conversation I had with a close friend who said that the '66 Bordeaux were over the hill. A cold shudder went down my spine as I have quite a few of them. So one evening I got out a 1966 Chateau Lafite and had it with this friend and served it masked. He thought that it must have been twenty years of age. It was in fantastic condition, quite light in colour, powerful in bouquet and wonderful fruit with such refinement and complexity. My friend thought that it would last for many years. A week later I had some friends visiting from South Africa and I wanted them to experience an old Australian wine and so I came across a 1972 St Henri in my cellar with the "Auldana Vineyard" script on the bottle. I had had a '72 Grange not too long ago and my recollection is that the Grange didn't quite have the refinement of this wonderful wine which was in the prime of life. My South African friends who are pretty big time and get around the world said that it was the best wine they had ever had. The next night was my table tennis night when two of my friends and I play table tennis and then open a wine. I took along a 1967 Chateau Tahbilk Cabernet Sauvignon made by Eric Purbrick. He was an interesting character. He was a barrister in England and his mother suggested to him that he visit his Australian Estate at Nagambie in Victoria. When he visited it, most of the estate had been given over to farming but a residue formed the vineyard. He stayed, worked like a Trojan and between the early sixties and early seventies made some of the greatest, if not the greatest red wines ever produced in Australia. The 1967 is magnificent. My friends, without knowing what it was, described it as up there with the best wines in the world and guessed that it must be twenty five years of age, perhaps thirty. Unfortunately, there were only four thousand bottles produced. The 1962 is a masterpiece but only 2,800 bottles were produced. So many old wines have been produced in Australia and overseas and have never been given the chance to reach their maturity or to return to their owners the immense pleasure that is derived from sharing the result of the dedication and skills of past masters in wine. Many of the wines made thirty and more years ago by well known makers from the better wine regions of Australia that are still in existence and which have been well cellared are in the prime of their life. Unfortunately, most of them have been consumed too soon. So if you want to go through life lucky as a wine lover and know it, take a punt on putting down better Australian wine from good regions and good years and wait thirty years. The likelihood of picking winners is far higher than if you drink them every day. Copyright ©2006 Louis A Coutts, All Rights Reserved. Louis Coutts is the principal at Management Consultancy "Coutts and Connor" ( http://www.couttsandconnor.com.au ), a regular contributor to the Australian Institute of Management journal and to Business Review Weekly he is also a founding member of the not for profit institution "The Hawthorne Academy"